There’s an ongoing and lively debate in the world of education about the prevalence and relevance of ‘learning styles’. Various models try to place a label on how people prefer to learn, and the number of labels within these models also varies widely. In a coordinated effort, the Debunker Club is targeting the ‘Learning Styles Myth’ throughout the month of June. 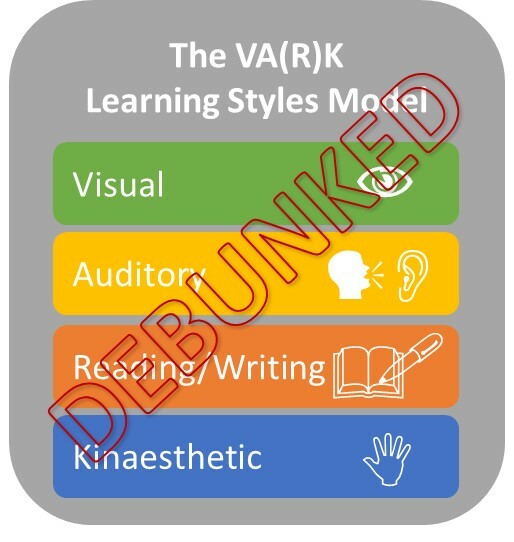 While there are a large number of learning style models in-use, the VAK/VARK model is widely promoted. Most people who’ve attended a personal or professional development workshop in the last 30 years have probably heard about this model and how it helps with understanding your own personal learning style so you can be a ‘better learner’. Even more worrisome is that, despite being quite thoroughly challenged by evidence-based research, this model is still being promoted in programs for educators at all levels, with the intention that if you understanding the learning styles of ‘students’, you will design and deliver better learning experiences. While I’m all for continuing to explore every possible way to make learning better and easier for everyone, the purpose of this post is not to go back over the research findings that have debunked learning styles as a valid educational or instructional theory. 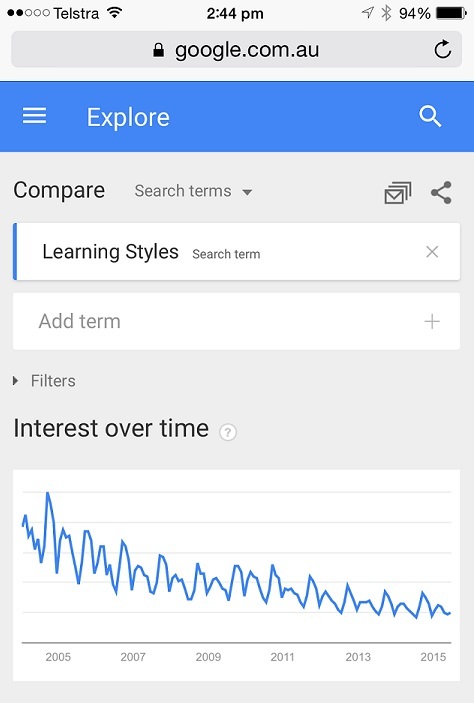 Even though Google Trends shows a diminishing interest in the ‘learning styles’ topic, a search today still returns millions of positive results, with many hosted on .edu domains! So what’s most interesting to me is how the ongoing promotion of learning styles as a valid theory of instruction, and the placement of labels on people, could actually be limiting the effectiveness of learning. So imagine now that you’re a participant in a lesson or course, and you have no background in educational theory. You’ve just been on the receiving end of a session about learning styles. You may have even taken a scientific-looking questionnaire that confirms what your personal ‘learning style’ is. Something in the result resonates with you, because you trust the facilitator, and she has encouraged you to relate your preferred ‘learning style’ to thinking about all of those times when learning was either very easy, or very difficult for you. Learning is, at it’s most basic definition, the process of collecting, modifying, understanding and using information. How effective we are at learning new and different things is influenced by our context, our environment and importantly, our own attitudes towards learning. This excellent research shows that believing you can get smarter can definitely make you smarter. So again, this ‘labelling’ and it’s potential limitations, concerns me. Do we really want people of any age going through their lives with a pre-conceived notion of how they learn best? Does the self-perception of “I’m a weak auditory learner” have a negative impact on how people then engage with content when it’s presented aurally, or requires a verbal discussion? 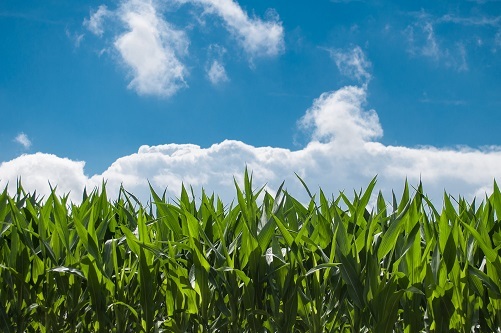 The world is full of a fascinating array of information that’s presented in lots of formats, and these formats might not always provide a match to a perceived learning preference. Shouldn’t we be focusing on helping learners understand how learning really works, and supporting them to know that they can and will learn, when they meaningfully engage with content in all it’s formats?